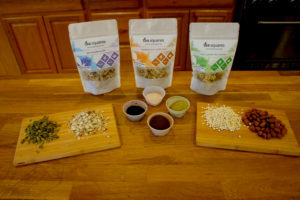 Tea Squares, produced by a startup company on Chicago’s South Side, is an energy snack brand with a couple of twists. First, the squares feature ingredients such as puffed millet, pumpkin seeds, brown rice syrup and organic honey; they contain less sugar and fewer calories than many of the energy bars on the market. Second, to provide a little extra boost, Tea Squares contain caffeine from the powdered tea in the recipe. 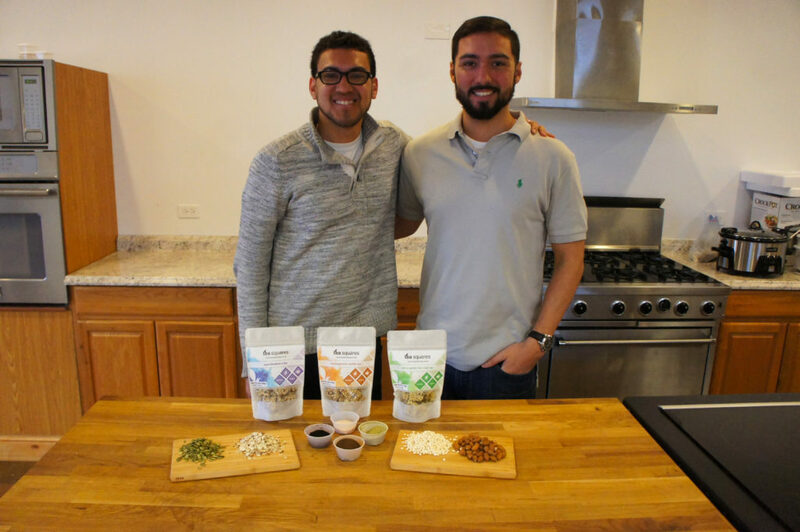 The promise of healthier snack food alone would have made business partners Jordan Buckner and Isaac Lozano excellent candidates for FamilyFarmed’s Good Food Business Accelerator; they are members of the third cohort of businesses currently participating in the intensive six-month program. But Tea Squares’ social mission was a clincher for the Accelerator’s selection committee. That social mission is tied in part to the location of the business: on West 75th Street in Englewood, an almost entirely African-American neighborhood that has struggled mightily with economic decline, population loss and violent crime over the past four decades. 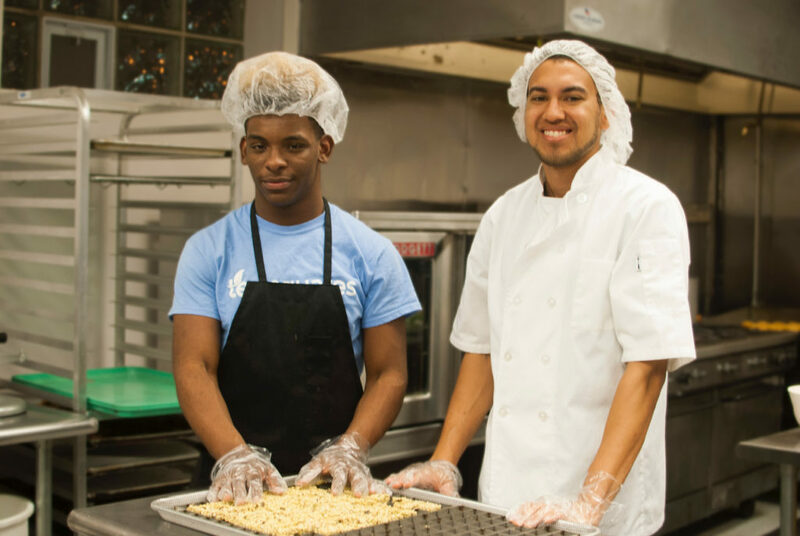 Tea Squares is part of a rising effort based on one of the tenets of the Good Food movement: that food businesses can play a catalytic role in restoring economic vitality to struggling communities (both urban and rural). It is located not far from the Whole Foods Market store that opened last September at 63rd and Halsted — the nexus of what once was one of Chicago’s most thriving commercial districts — which is the national food chain’s first venture into a low-income neighborhood. The area also has a number of urban farms, including the nonprofit Growing Home, an organic operation that trains and provides job skills to local residents who have served time in prison or have other employment challenges. Buckner’s mother — whose SanJustins Kitchen catering and food education company shares the 75th Street space with Tea Squares — was raised in Englewood, so he learned about both the promise and the problems of the community from an early age. Buckner and his partners have a stated social mission to hire from within the community. Buckner earned an architecture degree from University of Michigan and an MBA from University of Illinois, and he obviously attracts other smart people: Tea Squares’ first part-time employee is a high-school teenager named Travis England (photo below), who aspires to attend the Massachusetts Institute of Technology. “As we scale our operations and become a much larger company, we want to at least establish an internship program that turns into full-time employment for a lot of members of our community. Maybe they start out learning how to make Tea Squares, but eventually they’re running our finance department,” Buckner said. 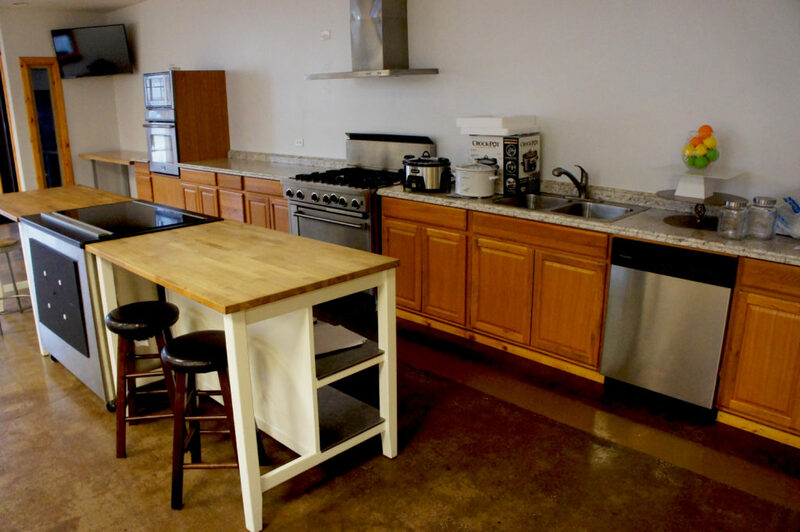 The company also is working to advance the health of the community by providing food and nutrition classes, utilizing the beautiful teaching kitchen at the front of the building that it shares with SanJustins Kitchen (the production kitchen for both businesses is toward the back. 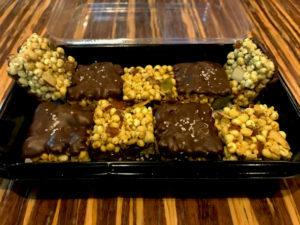 Buckner described how a tour for children may begin at the Tea Squares production kitchen and end at Whole Foods Englewood, so the kids can learn how the product is both made and sold. 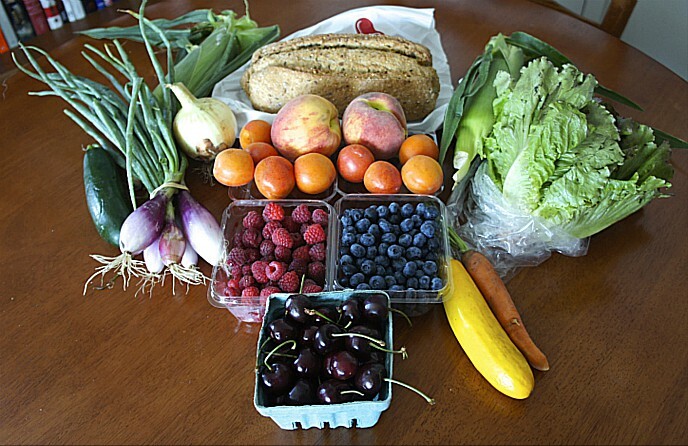 As that store approached its opening last September, its managers recruited about 30 local food producers to sell there. Not surprisingly, one of them was Tea Squares. Englewood is now one of six Whole Foods stores in Chicago that sell Tea Squares — en route to what the partners hope will soon be city-wide placement and beyond. 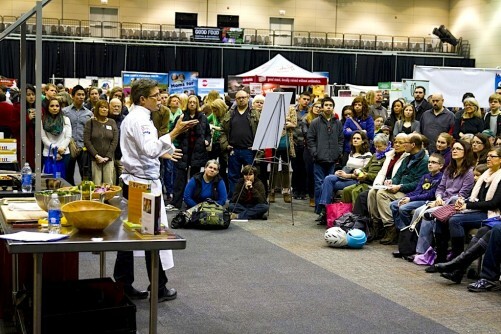 Tea Squares and the other participants in the Good Food Business Accelerator will be featured at FamilyFarmed’s Good Food Festival & Conference, which will take place March 16-18 at Chicago’s UIC Forum. For more information, please click here. This entry was posted in Child nutrition and health, Community kitchens, Food and community, Food and health, Food Artisans, Food education, Food Entrepreneurs, Good Food and economic development, Good Food Business Accelerator, Good Food business development, Good Food Catering and Home Delivery, Good Food marketing, Healthy eating, Healthy eating for children, Healthy snack foods, Local Food, Natural food and products industry, Nutrition, Sustainable food education, Whole Foods Market and tagged FamilyFarmed, food and economic development, Food business development, food enterpreneurs, Good Food Business Accelerator, Good Food businesses, Good Food Festival & Conference, Tea Squares. Bookmark the permalink.